Lightroom is an amazing piece of software. It can manage your digital assets, hence why it’s called a Digital Asset Manager (DAM), but as photo editing software, also provides you with powerful editing tools. Like so many others, I have my issues with the software, like with performance, for example. However, to this day I still use Lightroom as my main DAM and editing tool. I then go into On1 Photo RAW whenever I need to do further editing I don’t trust Lightroom to do. Whenever I do photo editing in Lightroom I always start with these six things. In the rest of this article, you’re going to see what I believe in as the most important things you can do to a photo in Lightroom. 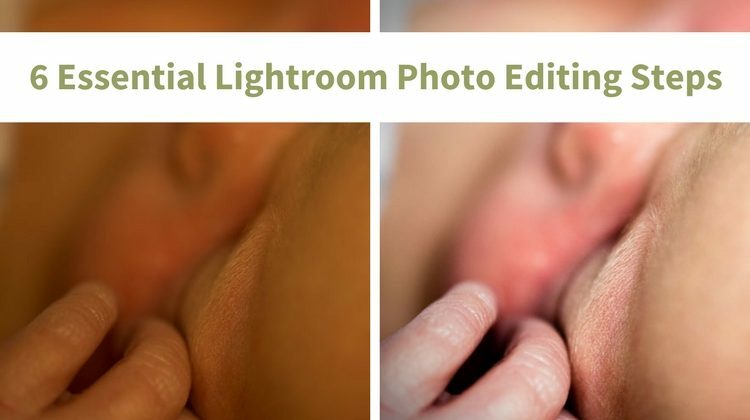 More importantly, what I believe you should do to every photo in Lightroom right out of the gate. Always add your copyright information to your photos. I don’t care how you organize your photos in Lightroom, or what you name your files. But what I do care about you doing is adding your copyright information. But if you don’t include any copyright metadata you increase the risk of having a photograph stolen. So first and foremost, be sure to add your copyright information during import. If you forget to do it during import (using a metadata preset) then add it afterward. 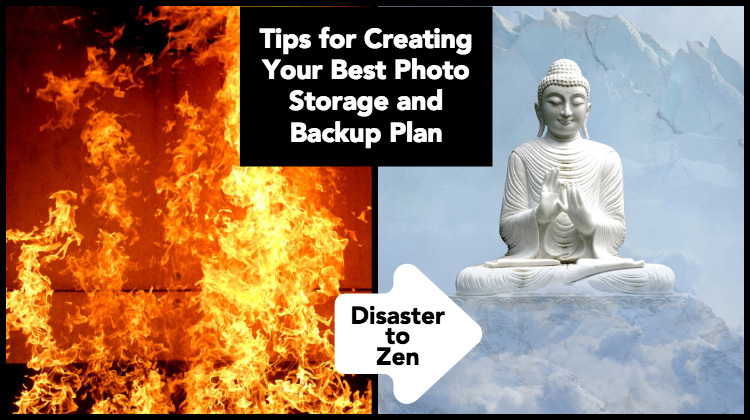 The next step is to adjust the White Balance of your photos. So many photographers forget or do not care to manually adjust this setting in-camera. They commonly rely on the camera’s ability to determine White Balance. But Auto White Balance (AWB) is not that great. So doing it in post-production is an essential task. When it comes to photo editing for portraits or in-studio work, I use the ColorChecker Passport from X-Rite. But for landscapes and street photography I use a neutral tone in an image when available, or use the preset White Balance options inside Lightroom. In this photo example of my nephew, Eli, it was taken in a hospital room under tungsten light. Changing the White Balance to tungsten instantly fixes the color of his skin. Next up are bringing out the details found in the highlights and shadows. However, I prefer starting with the Whites and Blacks sliders. I start with the Whites slider because sometimes I want the whitest areas to clip and sometimes I do not. Same with the Blacks slider. For example, if I am planning to print the photo I will often let the Whites or Blacks clip a little more than I would on a digital-only photo. Read: Lightroom Slider Tutorial for my indepth guide to using the basic sliders in Lightroom and Photoshop. 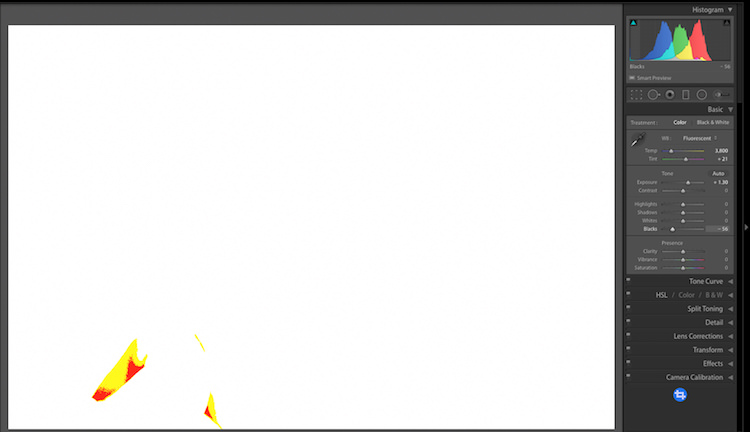 Hold the ALT key down when sliding the Blacks or Whites sliders to see any clipping. Here you can see the areas where the Blacks are clipped. I then move onto the Highlights and Shadows where I fine-tune the photo to ensure that specific tones look pleasing to the eye. For example, I often find myself bringing highlights down on bright, fresh skin, like in my nephew’s photo. At a bare minimum, I adjust my Tone Curve to Medium Contrast. The next task is one that could be kept simple or more advanced, depending on your skill level and the photo being edited. As I mentioned, I adjust my Tone Curve to Medium Contrast. I find I like the contrast from Curves over the standard contrast slider. 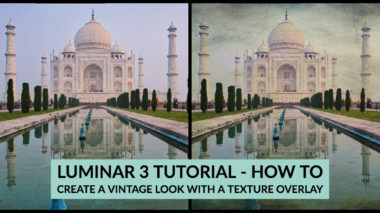 It also offers more control if you need to fine-tune the contrast of the highlights and shadows or by red, green, and blue channels individually. Tone Curve with medium contrast applied. Lightroom also offers an adjustment point curve tool which allows you to drag up and down on various areas on a photo to automate the adjustment of the Tone Curve. Next up is the HSL section, which offers fine control over hue, saturation, and luminance. This is one of my favorite sections in the Lightroom develop module. When doing photo editing on an image with a person in it, I often find myself in the Saturation tab, where I use the targeted adjust tool to drag up and down on skin to remove some saturation of red tones. Depending on the drastic color shift, I might also wind up in Hue to take away some red tones. HSL panel adjustments to remove some red from his skin. On landscape photos, I’m often in the Luminance tab to lower the brightness of a sky or brighten greens (great for foliage). 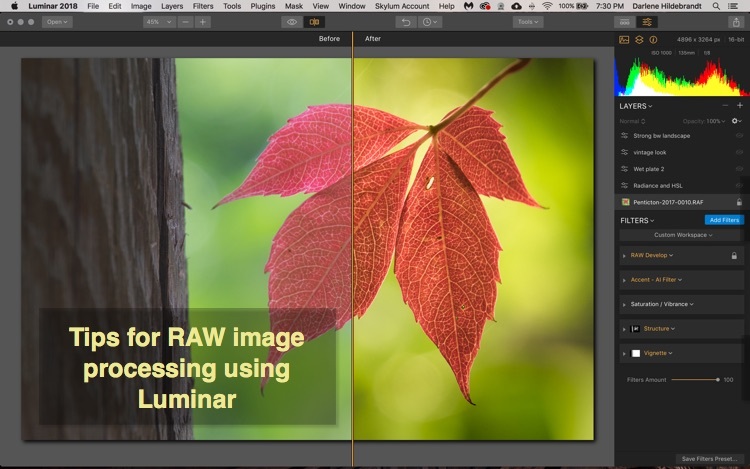 Last, but definitely not least is the automatic Lens Correction tool in Lightroom. This has been one of my favorite things Lightroom added for years. It allows the ability to adjust for lens distortion from almost every lens, including fisheye and super-wide angle lenses. But it also allows for manual control over the adjustments as well as removing Chromatic Aberration caused by some lenses combined with some sensors. Lens Correction panel, it might be as simple as just ticking off the two boxes as shown here. If your image needs more help, go to the Manual tab. Here is a before an after of the image of baby Eli which just those six adjustments applied. You can see the vast improvement that has been made with just a few clicks in Lightroom. I know that some of these tasks sound daunting to do on photo, after photo. But that’s why I created a preset bundle called Developer Bath Fixer. It contains all of what I consider the essential things (with some bonus things) in Lightroom’s develop module. With the presets you can quickly apply everything I mentioned above (except copyright) and then some. And the best part, Developer Bath Fixer is part of my entire Lightroom preset collection. So you can pick them up along with all of my other Lightroom presets, at one low price. You can pick them up here. Now there is no excuse for dropping the ball on these six important Lightroom tasks. 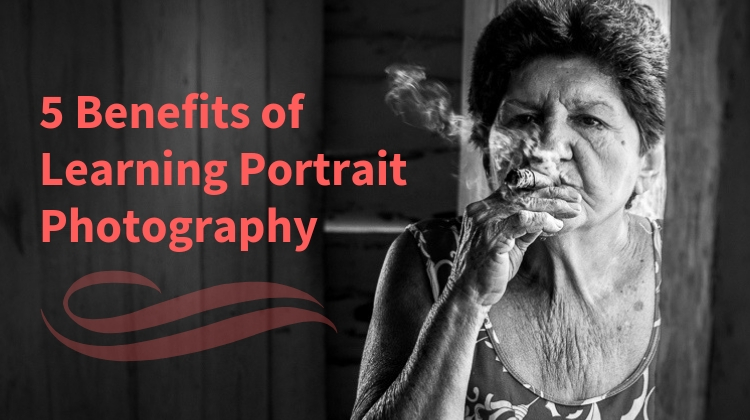 Note from Darlene: I recently reviewed what are considered to be the best photo editors on the market and compiled my notes into a comprehensive list. If you're less than happy with Adobe's new licensing model, you'll want to see what your options are. 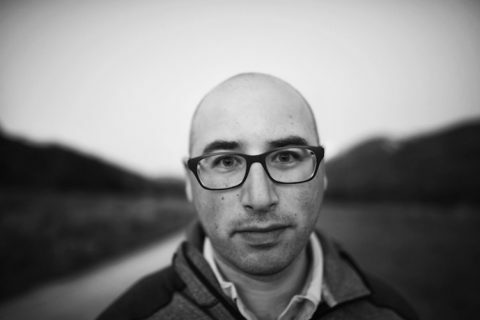 Scott Wyden Kivowitz is the Community and Chief Community Offer at Imagely, father, photographer, blogger, and educator. Scott is also the author of multiple photography ebooks including the topics of long exposures, panoramics, and street photography. 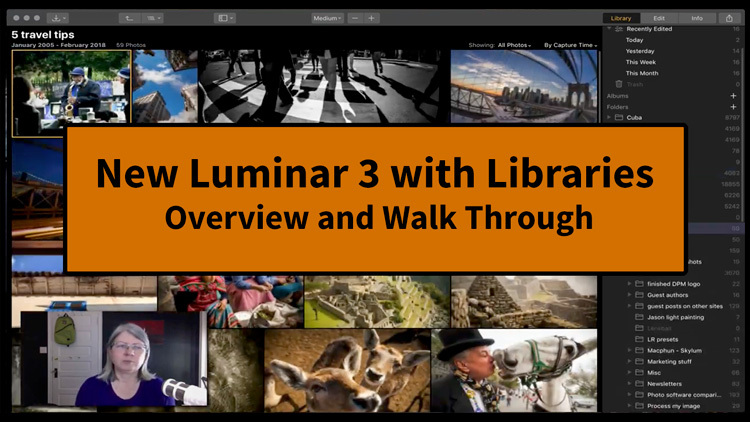 Get his free Lightroom video series, Fundamentally Lightroom, to help you simplify your Lightroom workflow, and also receive his free photography guides collection as a thank you.